In September of 2004, at the age of 38, Jimi Brooks unexpectedly passed away as Harvest was about to begin. A group of Jimi’s friends selflessly donated their skill, time, and passion to make Jimi’s 2004 wines in his signature style. For our 20th anniversary, we are celebrating those winemakers with a number of special events and monthly programming. Welcome to The Legacy Series. 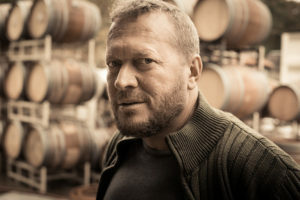 Tad will join us at the Brooks Tasting Room on Saturday, December 29, from 1-4pm to pour his wines.